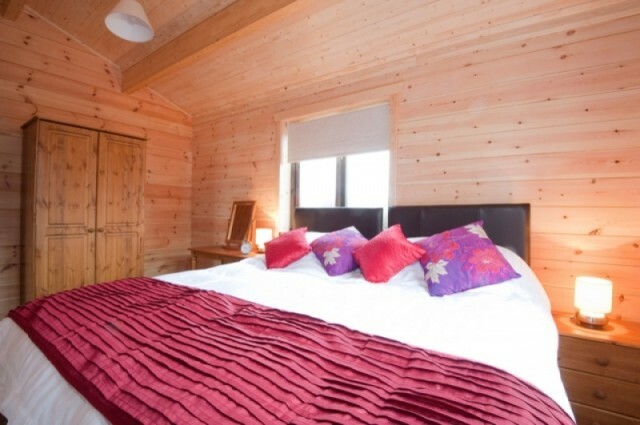 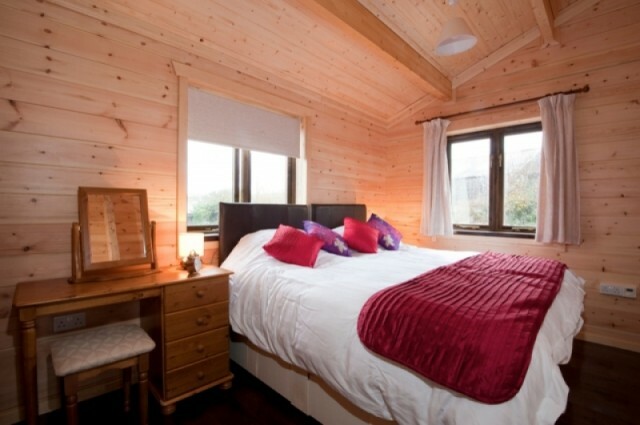 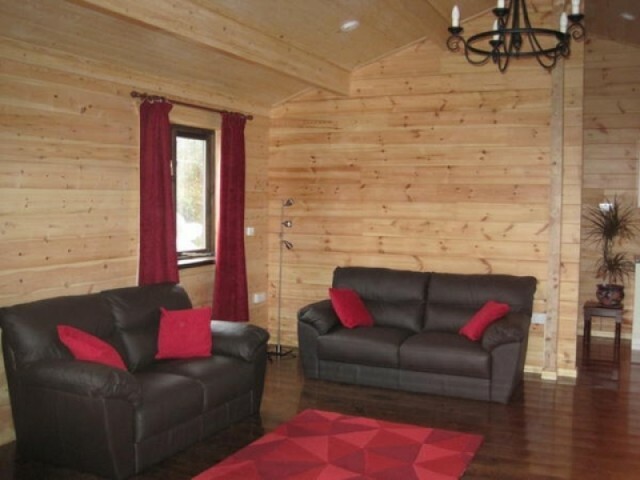 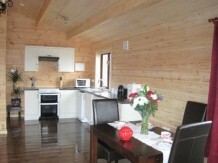 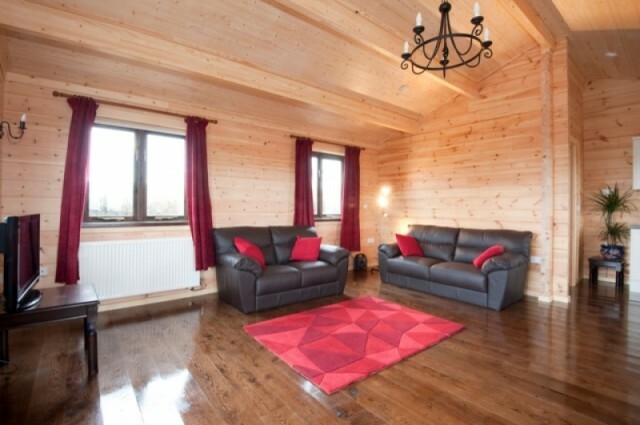 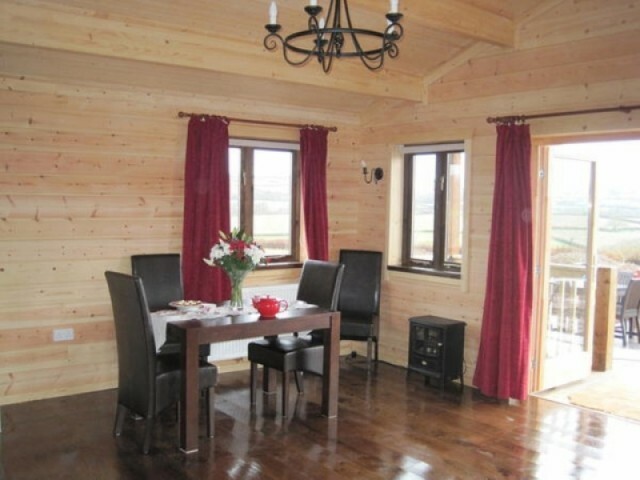 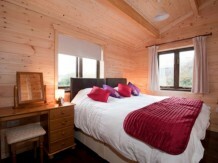 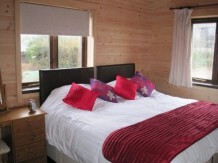 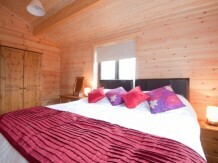 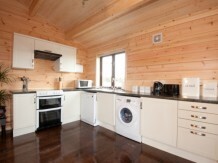 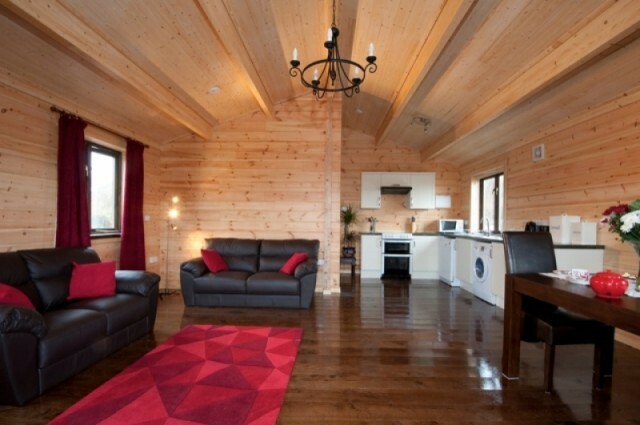 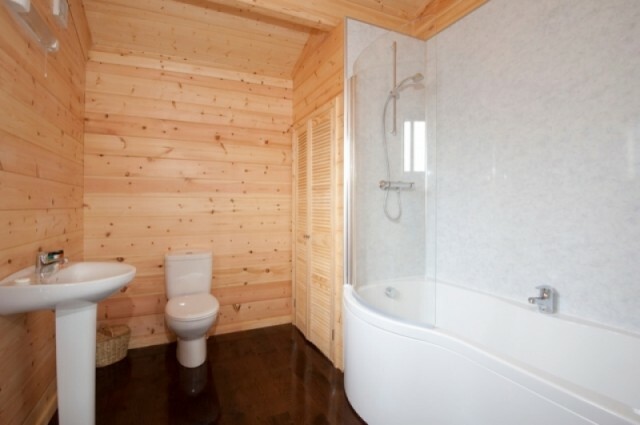 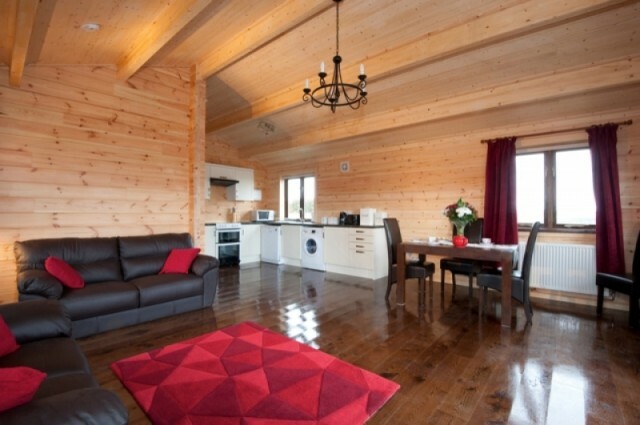 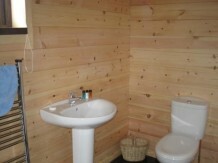 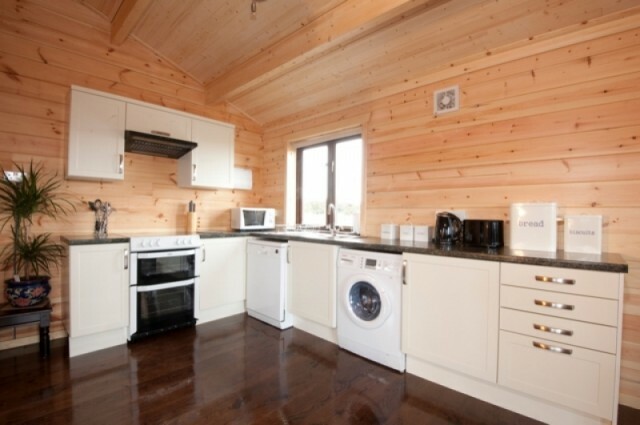 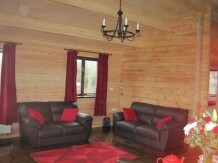 We built two identical cabins at the same time for Tregullen Farm, Bodmin, in November 2011. 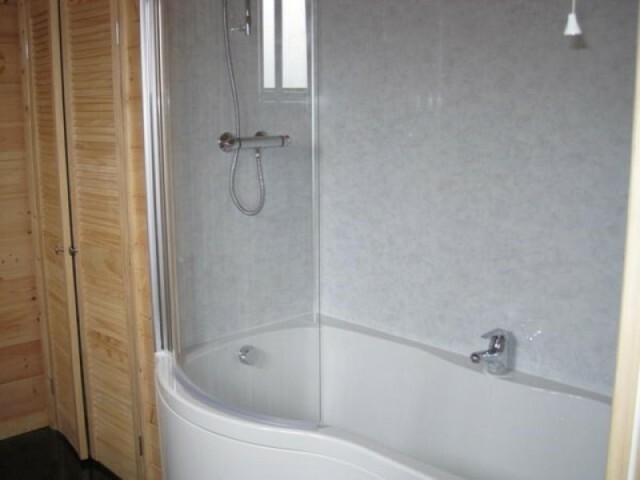 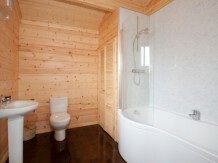 The cabins are interlocking 90mm single skin cabins. 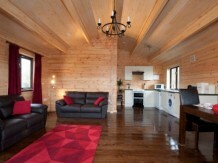 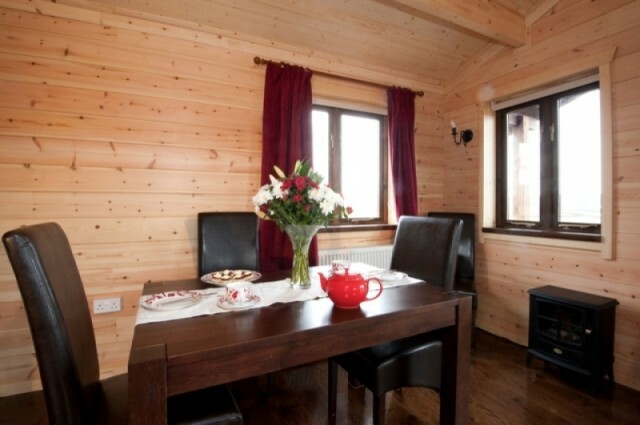 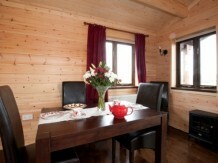 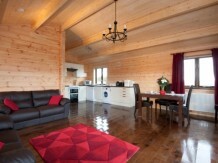 Internally the cabins are insulated and then an internal wall with pine cladding is constructed. Met tiles are used on the roof which are lightweight tiles made of zinc- aluminium coated steel. 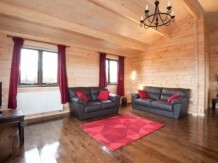 Oak flooring was used throughout. 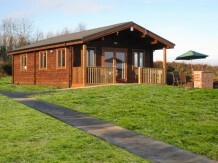 These cabins passed building regulations approval and are now ready to rent out alongside the customers existing cabins.